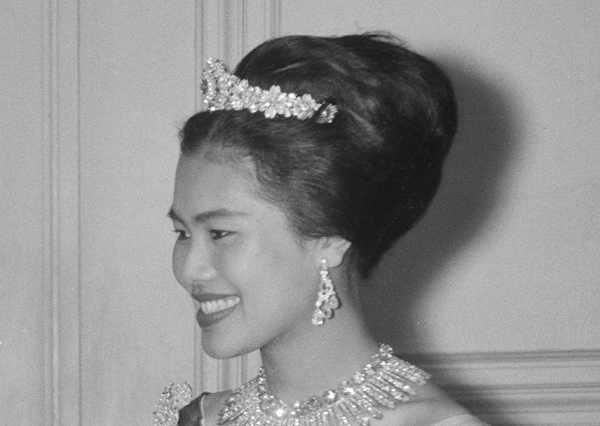 The tiara, as the name suggests, is a bandeau of stylized diamond flowers. The center of the tiara features a large, blossoming element, set with a central ruby. Many sources suggest that this central stone is interchangeable, which would certainly make sense design-wise. 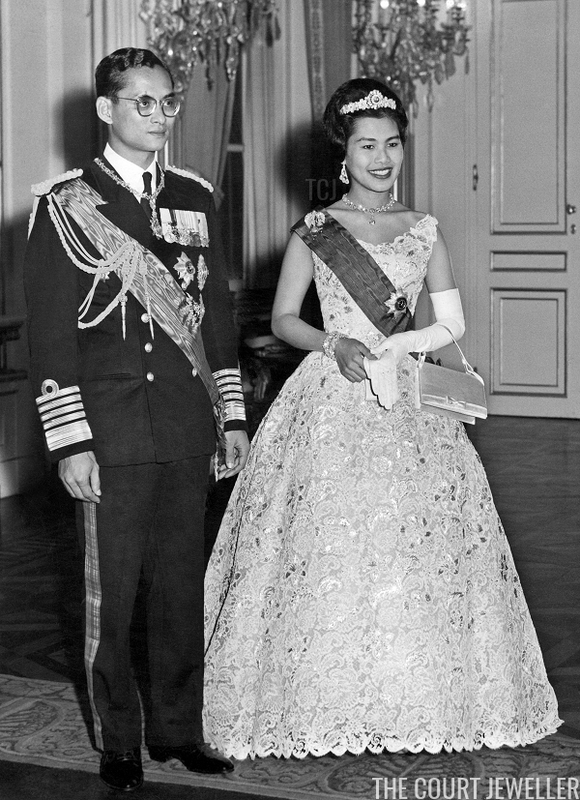 The bandeau was one of Sirikit's glittering companions during the lengthy foreign tour she undertook with King Bhumibol Adulyadej in 1960. Above, she wears the tiara with a black lace veil and pearls for an audience with Pope John XXIII at the Vatican. 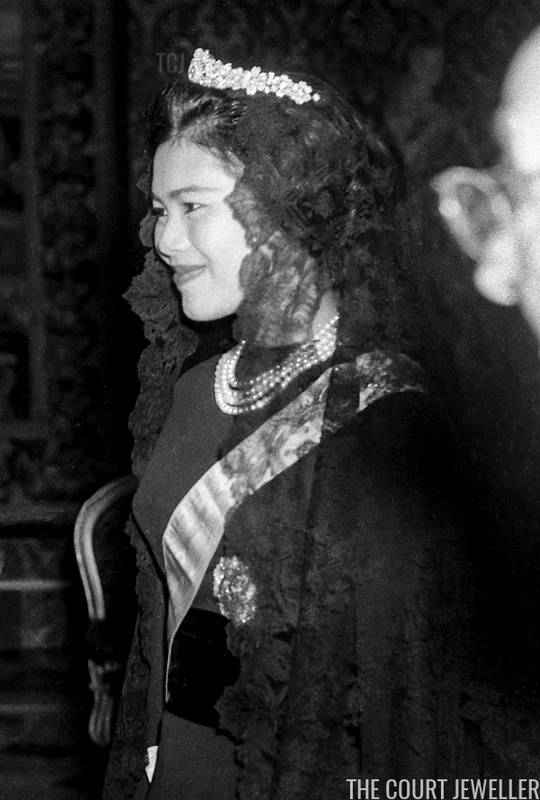 In Belgium, she wore the tiara for a grand state banquet hosted by King Baudouin, who had recently announced his engagement to Fabiola de Mora y Aragon. 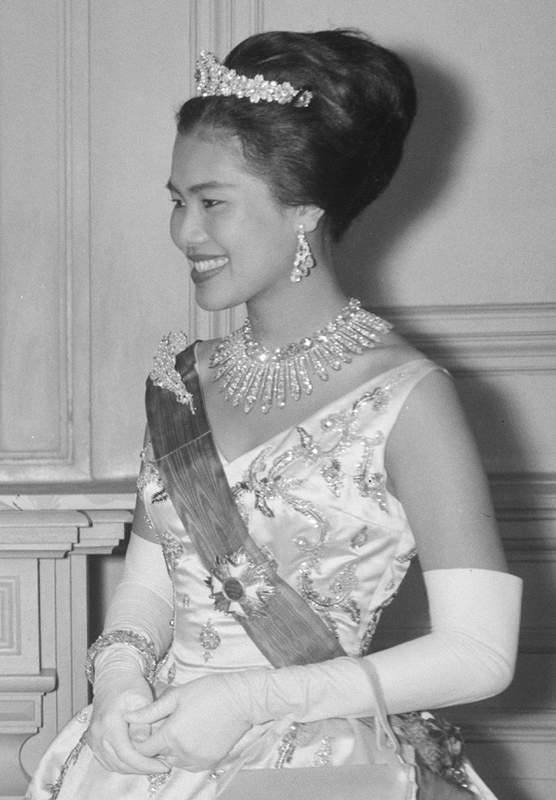 Here's a closer look at Sirikit's fantastic jewels and gown for the banquet. 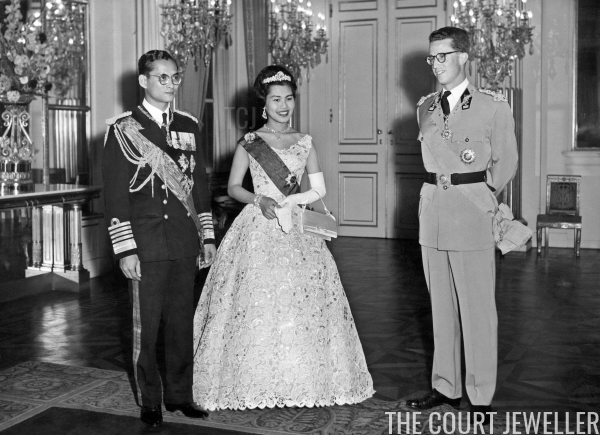 She paired the tiara with diamond earrings and a diamond riviere with a glittering pendant. An elaborate brooch with an avian theme secured her sash, and she stacked a pair of diamond bracelets on her right wrist. She also wore the tiara for a gala concert in the Netherlands. 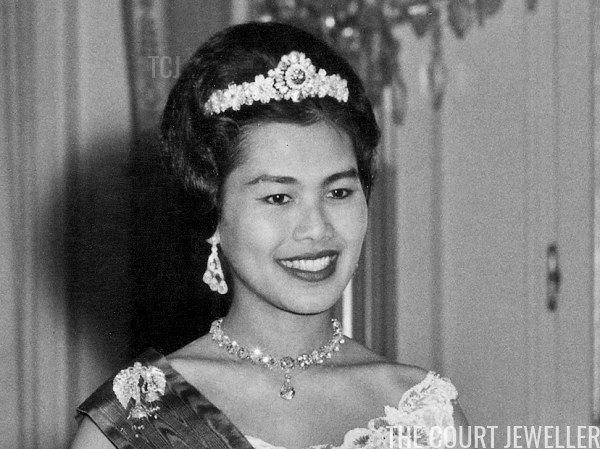 You'll actually spot two tiaras in this photograph: Sirikit wore the bandeau on her head and the grand Thai Fringe Tiara as a necklace.